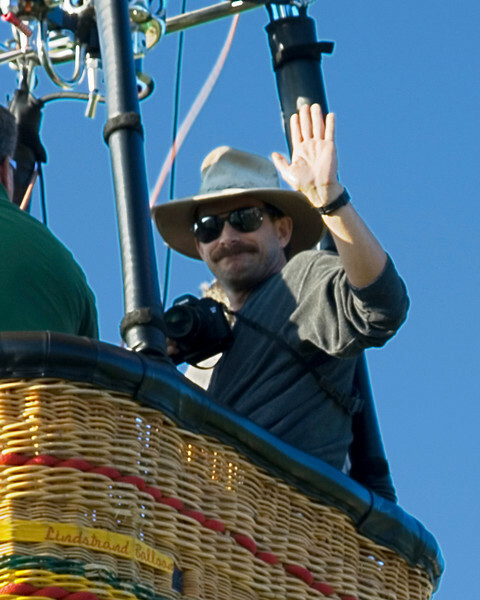 Here's some pictures of Ed in various places, including the basket of the Mayflower balloon, piloted by Kevin Knapp during the Pellissippi Balloon Festival, Knoxville, Tennessee, September 2007, a photo studio, and a waterfall. Photos by David Senn and Heather Kirby. Ed rides in the Mayflower balloon, piloted by Kevin Knapp, Pellissippi Balloon Festival, Knoxville, Tennessee, September 2007.